- from MY97 to 22B! 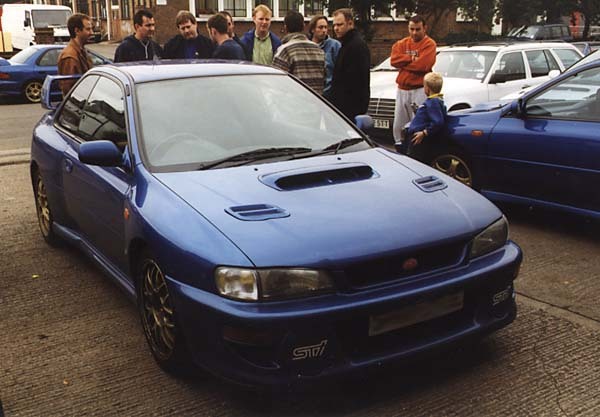 The 3rd of October saw the first ever IWOC Impreza rolling road test. Thanks to Jonathan R. for the organisation of getting all the cars there. 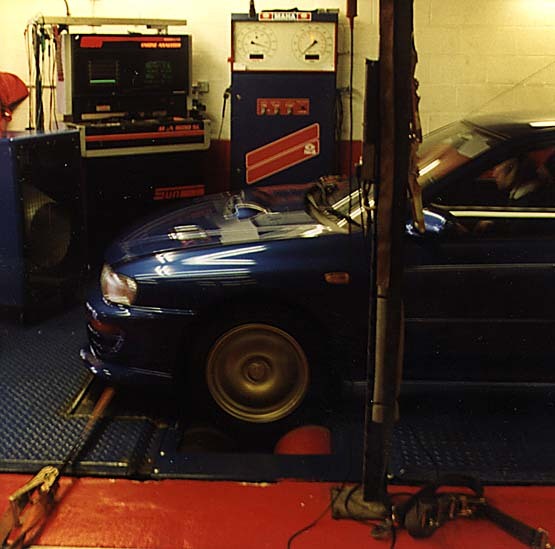 Seven cars of various different specifications were put through their paces on the rolling road dyno at Power Engineering in Uxbridge. 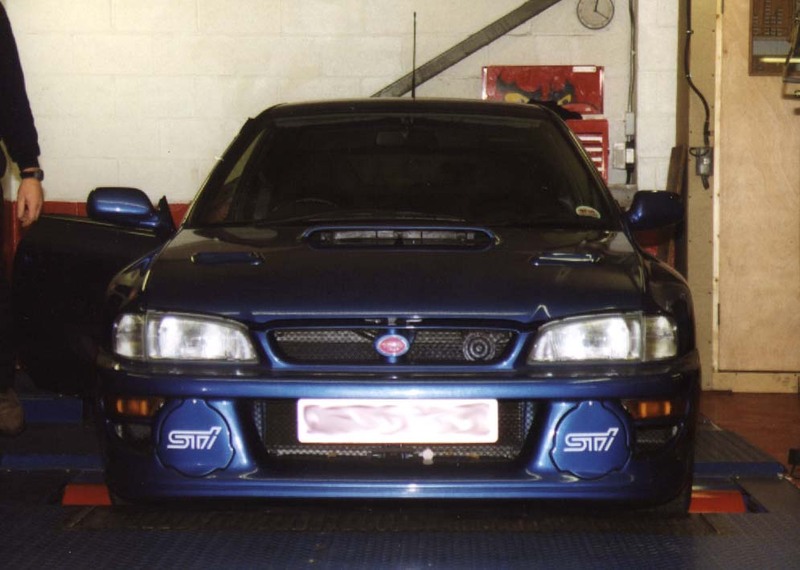 The purpose was not really to find out the ultimate power of each car (well ok there was one car that was of interest), but the differences between models and modifications. 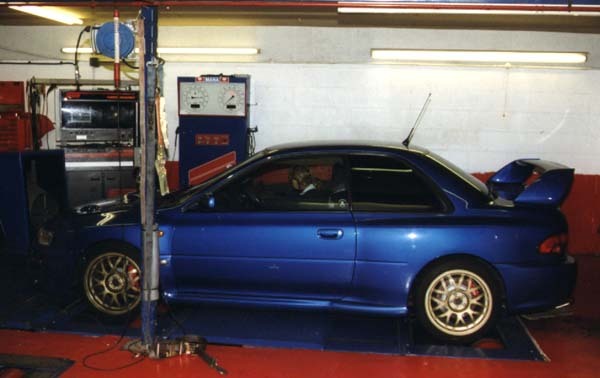 As you can see above, there were a lot of blue Imprezas floating around! 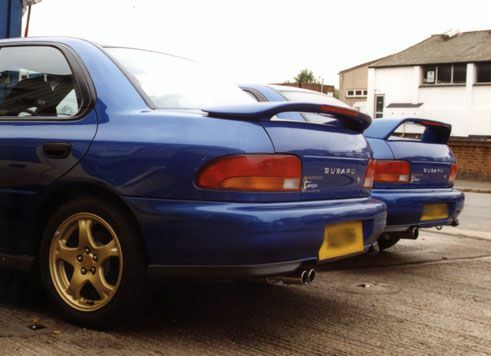 Interesting to see that the 22B and type R both share the Terzo colour, whilst the dark blue mica looks black in comparison. To see and hear a car, only 10 feet away doing over 125mph is something to behold. Just don't touch those brakes! Type R the dial on the left reads 225kph! 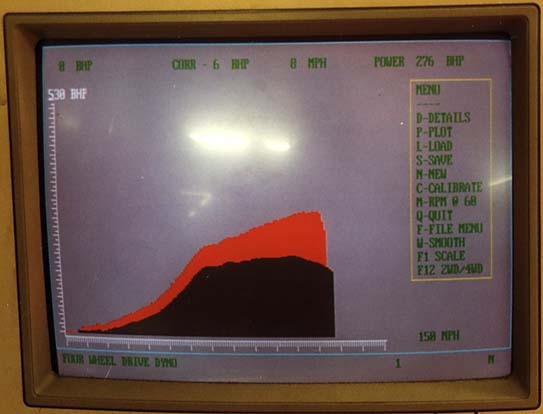 Type R dyno data the black graph represent power to the wheel, and the red line is added as the car slows down in neutral with the rolling road monitoring the transmission losses....result power at the crank. Note for a 4 wheel drive car we lose near 1/3 of the power! 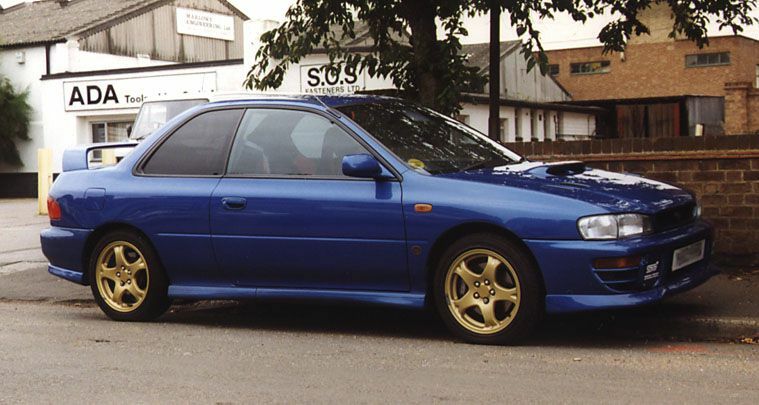 So how does a Japanese specification WRX Type R compare with the best UK specification of the day? 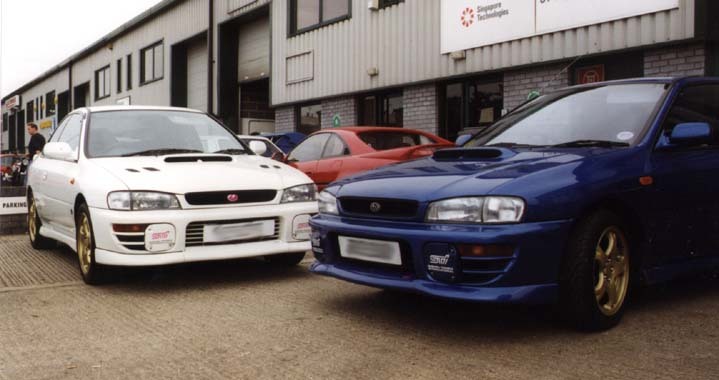 WRX STi Type R and UK spec. 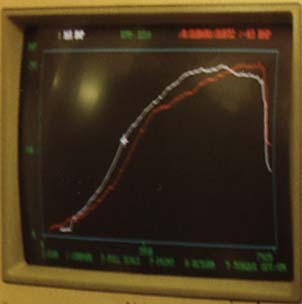 dyno data the red graph represents the best UK specification run with the type R in the white. 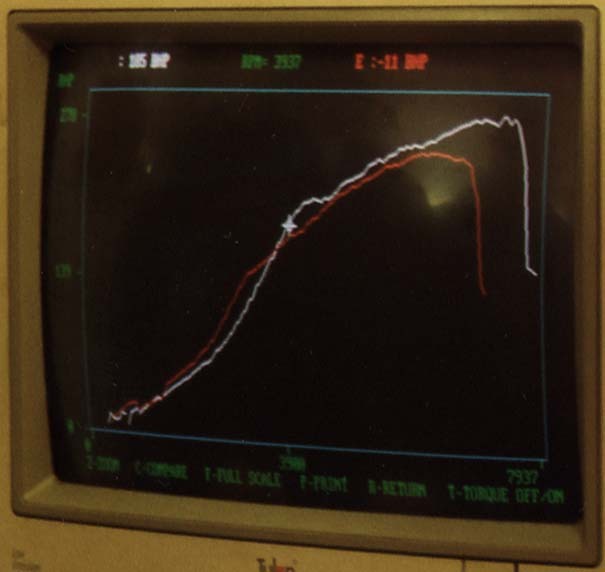 The UK car actually produces more power under 3500rpm probably due to the smaller turbo. From there the type R gains an advantage but is still tracked by the UK specification. Only at the end at 6500rpm the UK spec tails off and the type R carries on pulling straight into the 7900rpm red line! 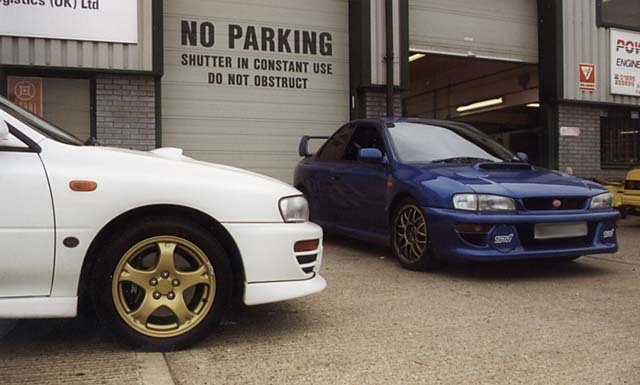 22B - how fast does it go Mister? As well as the cars on the dyno, several other members tuned up to watch. 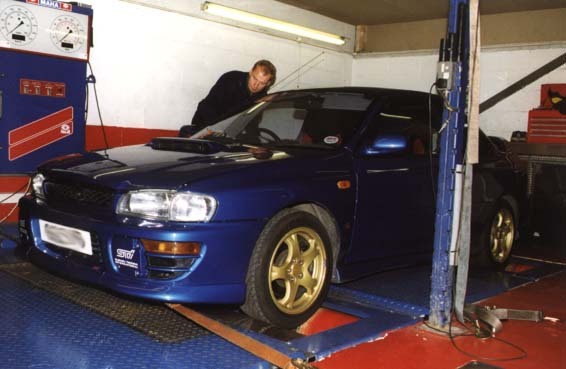 If you were wondering about the results from the day have a look at Paul Strongs web page - THE Impreza dyno data page! Copyright © of photographs remain with Steve Breen and may not be copied without consent.